The gastroenterologist contended that he did in fact recommend further testing for the plaintiff’s pancreatic cyst in the form of an endoscopic ultrasound, but that the plaintiff failed to follow his recommendation. The doctor’s claim became difficult to dispute, as the plaintiff passed away before his testimony could be preserved. Therefore, no one was available to directly dispute the doctor’s claim at the time of trial. The defendant radiologist argued that he interpreted the plaintiff’s abdominal CT scan appropriately. The case proceeded to trial in Essex County, New Jersey on October 1, 2018. After more than three weeks of trial, the jury found that the defendant gastroenterologist was negligent for failing to recommend further testing to the plaintiff. The jury awarded the plaintiff’s estate $2 million for the pain and suffering that the plaintiff was forced to endure prior to his death. In addition, the jury awarded the plaintiff’s widow $1 million for the loss of her husband’s services. 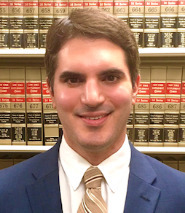 Although the verdict was $3 million, the actual recovery for the plaintiff’s estate and widow was reduced to $900,000 due to the “Scafidi Rule”. In New Jersey, in cases brought for the failure to diagnose cancer, the jury is asked to consider how much of the plaintiff’s harm was the result of the malpractice as opposed to how much of the harm was caused by the cancer itself. In order to perform this task, the jury is asked to consider cancer survival rates. In this case, plaintiff’s expert oncologist testified that due to the seriousness of pancreatic cancer, the plaintiff would have had at best a 30% chance of survival if the cancer was timely diagnosed. The defendants’ experts testified that the plaintiff’s chance of survival was between 0% to 14%. Ultimately, the jury followed plaintiff’s expert, and found that plaintiff had a 30% chance of survival. As such, under the Scafidi Rule, the plaintiff’s recovery was limited to only 30% of the total verdict, which equaled $900,000.